Meet the next generation of business applications and unleash your organization’s potential by leveraging the latest technologies provided by Microsoft. Below, we shed light on what Dynamics 365 Business Central is and how to connect your Magento 2 website to it. We’ve already posted a small overview of MS Dynamics 365 and now would like to say a few more words about the Business Central solution. If you are looking for a tool that will break down data silos to connect multiple aspects of your e-commerce business – customers, products, people, and operations – you’ve come to the right place. Below, we shed light on the digital transformations provided by Microsoft Dynamics 365 – a revolutionary platform that implements a new approach to business applications. What’s the primary goal of MS Dynamics, you will ask? The platform is designed to combine two essential solutions: enterprise resource planning (ERP) and customer relationship management (CRM). Consequently, you kill two birds with one stone connecting your Magento website to the system. A comprehensive view of your customers and operations is guaranteed by Microsoft – a multinational technology company that is worth your trust. And there are several reasons why Microsoft Dynamics 365 is so cool. If you are familiar with all the benefits and came here to find a Magento 2 Dynamics 365 Business Central connector, follow the link below. It leads to the Improved Import & Export Magento 2 extension – our module that lets you integrate Magento 2 with Dynamics 365 Business Central via API. 3.2 Your supply chain can be automated! First of all, Microsoft Dynamics 365 offers the latest technologies. Being a leading company in the market, it provides the most recent offers regarding both ERP and CRM tools. You have a chance to drive business results to an entirely new level. Leverage next-generation, multi-channel apps to streamline rapid innovations in AI, mixed reality, social media, etc. The second important factor is the unified experience of the MS Dynamics platform. All applications are synchronized within a cloud. Furthermore, you can seamlessly integrate your Magento 2 website into the system with the help of the Improved Import & Export Magento 2 extension. Your people will dramatically increase the efficiency of their work after you unify relationships, processes, and data with comprehensive business apps of Microsoft Dynamics 365. Built-in intelligence is the third reason to choose Microsoft Dynamics 365 as your CRM and ERP tool. The platform is geared towards achieving greater business outcomes with leading AI and analytics technologies. Get the most in-depth insights into the present state of your enterprise, discover its strengths and weaknesses, get precise predictions and prevent future problems long before they affect your company. Of course, advanced scalability and adaptability are also among strong points of Dynamics 365 and all its components. The platform is designed to help your business grow and at the same time can expand with it. You can effortlessly extend the existing applications, leverage new solutions and connect to other technologies. Flexibility, scalability, and security are the three integral parts of the platform. Under this category, Microsoft offers two items: Dynamics 365 for Sales and Dynamics 365 AI for Sales. The first one proposes you to go beyond sales force automation and get a better understanding of customer needs by personalizing relationships to increase the number of deals. Smarter selling, AI-driven insights, personal engagement, and seamless productivity tools are only the tip of the iceberg. For further information, follow this link: Dynamics 365 for Sales. As for Dynamics 365 AI for Sales, it is an add-on to Dynamics 365 for Sales Enterprise, Microsoft Relationship Sales, or Customer Engagement Plan, which is designed to help you sell smarter with AI-powered insights. If Dynamics 365 for Sales is not enough, you install this tool enhancing the default functionality of the main instrument. You can find more information here: Dynamics 365 AI for Sales. The Service category includes a little bit more tools. First of all, it is Dynamics 365 for Customer Service. Based on the built-in intelligence, it delivers a fast and personalized service and adds value to every interaction with your customers, even on the go. You can freely engage with customers despite a channel or device. And with continually rising customer expectations, the intelligent processes of this tool always guide agents to right actions. Follow this link for further information: Dynamics 365 for Customer Service. 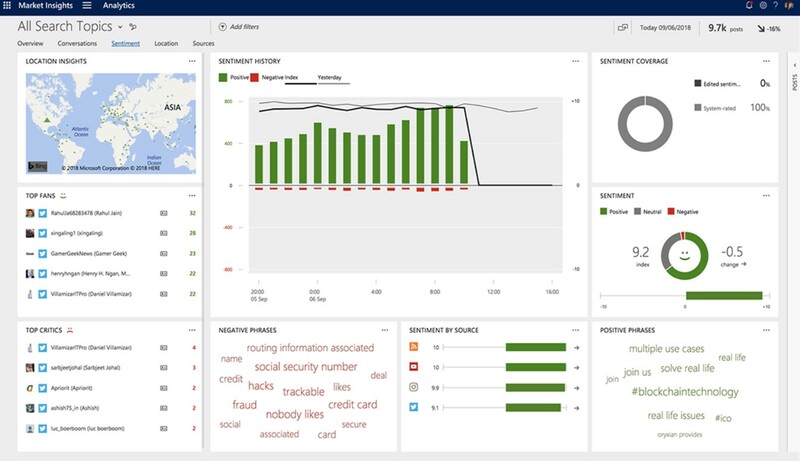 And don’t forget that you can get additional AI-driven insights to improve the functionality of the original tool with Dynamics 365 AI for Customer Service. Turn them into critical performance metrics and emerging trends and leverage virtual agents to resolve support issues. With the help of this plugin, you will be able to take informed actions and improve the service experience. Besides, your customer service teams will create and deploy virtual agents in minutes providing better customer services. Note that more features will be implemented soon. For more information, visit this page: Dynamics 365 AI for Customer Service. Dynamics 365 for Project Service Automation is another tool in the Service category designed to build trusted customer relationships. Its main goal is to deliver outstanding project experiences on time and within budget and increase employee productivity. Let’s say a few more words about its core features. Dynamics 365 for Project Service Automation lets you effortlessly plan and deliver successful projects with the help of a predictable and customer-centric service delivery model. At the same time, it provides the ability to optimize resources by controlling their demand and ensuring the proper things are delivered to the selected projects. Consequently, you keep the utilization high. Another notable feature of this tool is the ability to forecast project profitability. 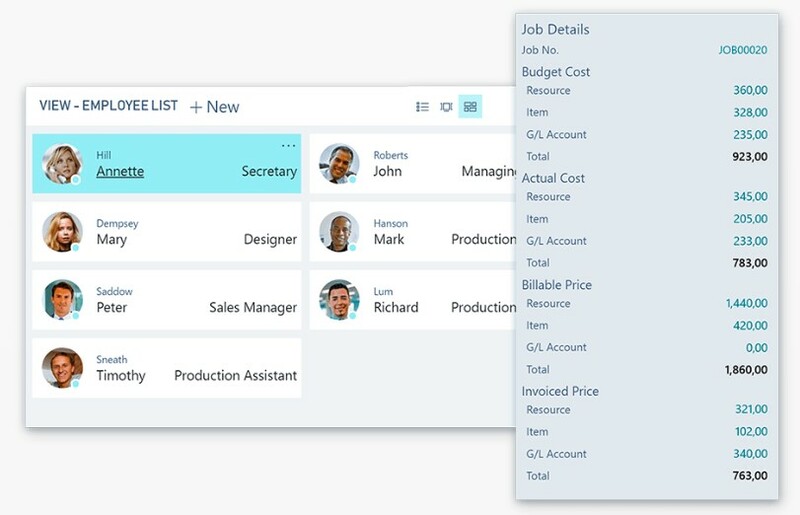 You can efficiently prioritize project-based sales opportunities since Dynamics 365 for Project Service Automation offers built-in intelligence tailored for planning successful outcomes. As you might have already guessed, these and other features help to increase productivity. Intuitive and collaborative tools are designed to empower your service professionals to deliver their best results and achieve goals as fast as possible. And you drive all these and multiple other innovations with a highly flexible, scalable, and efficient application. For further information on how to deliver projects on time and within budget, follow this link: Dynamics 365 for Project Service Automation. If you are looking for a seamless, end-to-end service experience, Dynamics 365 is also a tool that you need. The Field Service plugin delivers built-in intelligence aimed at resolving service issues before they occur. Besides, the product helps to reduce operational costs as well as gives positive onsite experiences. First of all, you can drive operational efficiency with IoT using Dynamics 365 for Field Service. Proactively detect, troubleshoot, and resolve issues by means of the platform relying on a technician only when necessary. The advanced resource optimization is another crucial feature related not only to this tool but the whole suite. With the Field Service plugin, you can not only improve scheduling but also automate the related processes getting the most value out of your resources. Besides, Dynamics 365 for Field Service makes your technicians more effective, engages your customers, lets you innovate with an adaptable platform, and provides an opportunity to modernize field services with mixed reality features. Read more about this tool here: Dynamics 365 for Field Service. Let’s say a few words about Dynamics 365 Remote Assist and then proceed to another category. This plugin has the only purpose: deliver the latest technology to your field service operations. Being based on heads-up, hands-free video calling on Microsoft HoloLens, it lets your on-site technicians collaborate with any remote expert on PC or mobile. As a result, all issues can be fixed in context with the highest possible efficiency due to support for mixed reality video calling, annotations, and file sharing. You can find out how to solve problems faster in context with mixed reality here: Dynamics 365 Remote Assist. The Finance & Operations category includes two tools. The first one is Dynamics 365 for Finance and Operations. Designed to accelerate your business growth, it unifies global financials and operations so that you can make fast, informed decisions, adapt quickly to changing market demands, as well as drive rapid business growth. Elevate your financial performance, run smarter operations, automate and streamline your supply chain, and drive innovations with an intelligent app that is easy to use and extend. For further information regarding how to optimize finance, manufacturing, and supply chain management with Microsoft Dynamics 365, follow this link: Dynamics 365 for Finance and Operations. Dynamics 365 for Retail is the second tool in the category. It is designed to engage every shopper, everywhere unifying digital, in-store, and back-office operations. By personalizing customer engagement and enhancing employee productivity, the plugin empowers retailers to create exceptional shopping experiences on the basis of unified commerce. With its help, you increase not only revenue but also customer satisfaction and brand loyalty. Dynamics 365 for Retail delivers a modern store experience what is worth your business and clients. 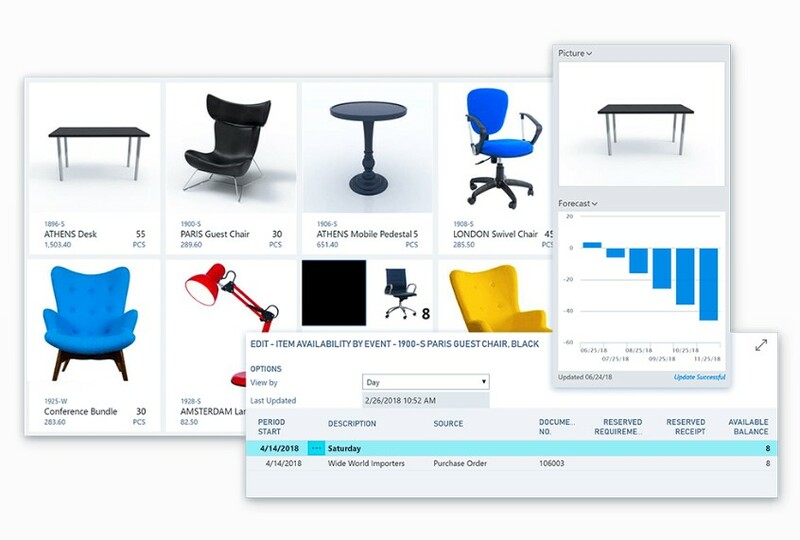 The following link leads to materials that explore how the plugin unifies digital, in-store, and back-office operations: Dynamics 365 for Retail. The first application in this category is designed to hire the right people faster. Always win the competition for top talent by taking control of the hiring process with Microsoft Dynamics 365 for Talent. The plugin will help you reimagine the hiring experience since it connects recruiters, managers, and interviewers providing better collaboration between them. Furthermore, you can tailor the hiring experience with various activities and compelling job descriptions. Another vital aspect of Dynamics 365 for Talent is the ability to connect with LinkedIn Recruiter System Connect. This feature allows accessing real-time candidate information across LinkedIn Recruiter and Attract. Thus, your recruiters and hiring managers can now work more efficiently saving time and collaborating with potential candidates better. You can discover more information about winning top talent here: Microsoft Dynamics 365 for Talent. Now, when your new employees are onboard, set them up for success with Microsoft Dynamics 365 for Talent: Onboard. The plugin lets new hires feel welcome and more comfortable. It provides personalized onboarding experiences designed to improve multiple aspects of the default routine. Firstly, you can streamline and optimize paperwork. Secondly, it enhances engagement. Thirdly, you get a perfect opportunity to accelerate time-to-impact. Get your new talent excited about their role in the company and decrease the stress level. Thus, you will dramatically improve engagement from before day one. To learn more about enabling employee success, follow this link: Microsoft Dynamics 365 for Talent: Onboard. 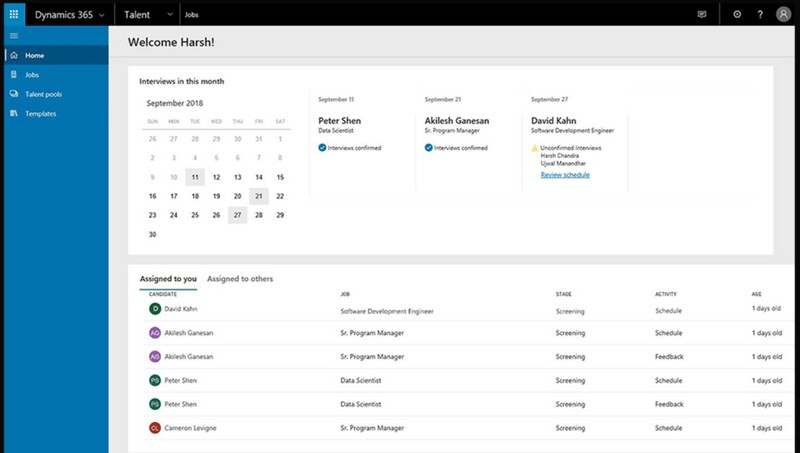 The third component of the suite is Dynamics 365 for Talent: Core HR. Designed to create a connected employee experience, it provides your managers and employees with core HR capabilities in a single location. Consequently, they get the ability to streamline all the corresponding processes and create programs that optimize multiple areas, such as workforce costs. Besides, the app enables them to drive an agile, high-performance culture through all the company. The Core HR plugin centralizes all employee data providing access to it anytime, anywhere. Besides, it enables self-service through the flexible and extensible platform as well as offers predictive insights and analytics. You can learn more about the tool here: Dynamics 365 for Talent: Core HR. Microsoft also delivers exceptional marketing tools with the seamless integration with advanced marketing cloud solutions from Adobe. You get the perfect opportunity to unify sales and marketing to transform the experience of everyone who interacts with your business from employees to customers. Adobe Marketing Cloud offers a 360-degree view of your customers, including such aspects as online behavior, device use, and advertising. Besides, the corresponding applications allow delivering personalized experiences at every touchpoint. Identifying high-value customers and optimizing your sales is no longer a problem as well since Adobe enables marketing interactions with artificial intelligence. Consequently, you can maximize your revenue opportunity with more effectively targeted campaigns. Furthermore, your daily routine is improved dramatically as well. The tool lets you shorten the time needed for document signing. Also, note that all records are automatically updated by the system which also sends contracts to each party for you. And you can customize and adapt the selected solutions to make them more suitable for your needs. For further information, follow this link: Adobe Marketing Cloud. 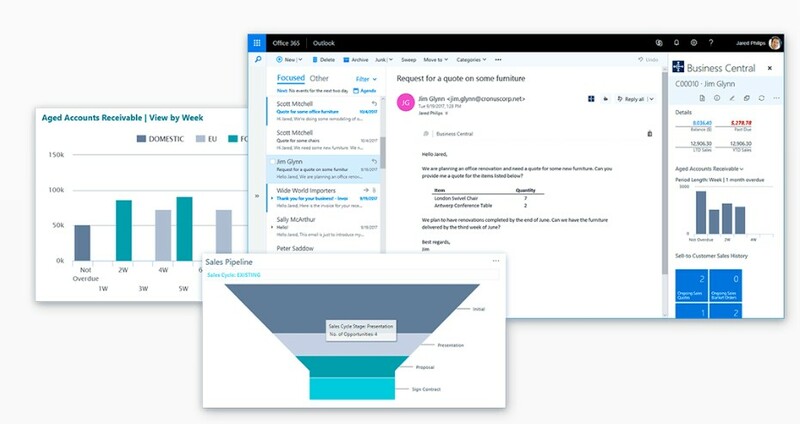 At the same time, you can leverage Dynamics 365 for Marketing which lets you generate more leads across multiple channels as well as enhance sales-ready leads with personalized experiences. Besides, this application provides the ability to prioritize leads and automate hand-off so that you increase the efficiency of your daily routine. Tracking progress with shared information and connected processes is also provided. Thus, you can make smarter decisions improving marketing ROI. Note that you get full access to embedded intelligence and analytics so that tracking marketing performance becomes a piece of cake. And it is possible to obtain additional AI-driven insights to win your market. For further information regarding how to innovate with a modern and adaptable platform, follow this link: Dynamics 365 for Marketing. As for AI-driven features, they are described here: Dynamics 365 AI for Market Insights. Now, when you are familiar with the core apps of Microsoft Dynamics 365, we can tell a few more words about Business Central – a platform that combines all the necessary business management solutions to streamline business processes improving customer interactions accelerating growth. It’s not a secret that a basic accounting solution is always limited that is never flexible enough. So if you want something more powerful and easy to adapt, you’ve come to the right place. Dynamics 365 Business Central is an all-in-one business management tool that not only offers an intuitive interface but also lets you tailor it according to your business needs. All the tools mentioned above help you connect multiple diverse business components to make smarter decisions, and Business Central is not an exception. Being a powerful business management solution, it automates various processes helping you manage your business regarding finance, manufacturing, sales, shipping, project management, services, etc. As a store owner, you can customize the functionality of the platform according to your business needs. Thus, even highly specialized and the most complicated industries are supported. However, Business Central is easy and fast to use. You can implement and configure the solution without any serious efforts. And it will provide you with an end-to-end view of your e-commerce company. Dynamics 365 Business Central promises to “accelerate financial close and report with accuracy while ensuring compliance.” Let’s try to figure out what this statement means. 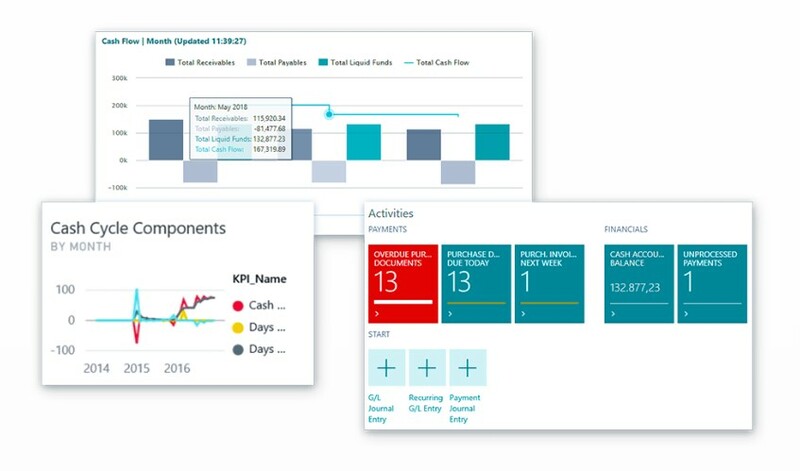 First of all, Dynamics 365 Business Central provides you with in-depth insights into your business so that you can make informed decisions. The tool is designed to turn separate data sources into a unified flow of information. 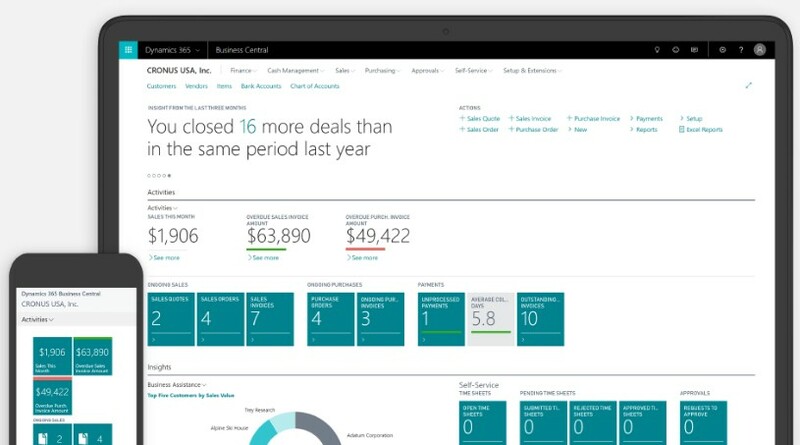 To achieve this goal, Dynamics 365 Business Central connect accounting, sales, inventory, purchasing, and customer interactions. Furthermore, it is even possible to control everything in real time with the help of built-in Power BI dashboards! The second important aspect is related to the ability to accelerate financial close and reporting. Perhaps, the most annoying thing about any project is the inability to do financial close in time starting the work as fast as possible. But Dynamics 365 Business Central lets you accelerate this process. With the help of the platform, you can effortlessly streamline accounts receivables and payables. Besides, it allows you to reconcile accounts to close and report on financials in a fully automated mode. And if you are not satisfied with the accuracy of your current forecasts, Dynamics 365 Business Central will also make your day. The platform is designed to refine financial estimates on the basis of the latest technologies. It allows modeling and analyzing data across multiple dimensions. Furthermore, you can even leverage MS Excel to customize reports. The popular editor is seamlessly integrated into the platform! All these Business Central features can be easily integrated with Magento 2 using the Improved Import & Export extension. Your supply chain can be automated! Dynamics 365 Business Central enables you to automate your supply chain. To achieve this goal, the platform adds several features designed to simplify your daily routine. Firstly, it allows optimizing inventory levels. You can fully rely on the built-in intelligence of the platform to predict when and what to replenish. Consequently, dynamically updated inventory levels let you purchase only what you need. Secondly, Dynamics 365 Business Central provides the ability to avoid lost sales and reduce shortages. You will be surprised how many processes are automated within the platform. 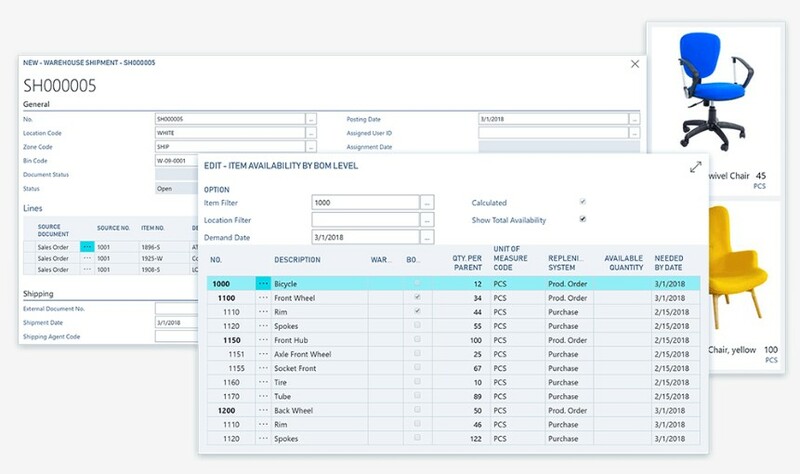 Thus, Dynamics 365 Business Central automatically calculates stock levels, lead times, and reorder points so that you can easily maintain the right amount of inventory. Suggesting substitutes is no longer a problem when requested items are out of stock. The platform lets you complete this goal with the minimum effort. Dynamics 365 Business Central also claims to maximize your profitability. The platform provides recommendations on when to pay, what discounts to apply, how to properly avoid overdue penalties. Consequently, you can prevent fraudulent purchases through advanced approval workflows. To apply the supply chain automation to your Magento 2 store, use the Improved Import & Export extension. Besides, Dynamics 365 Business Central improves customer services providing a positive impact on sales. The platform enables you to deliver value at every touch point. You can prioritize sales leads with the revenue potential in mind as well as keep track of all customer interactions to discover the best upsell, cross-sell, and renewal opportunities. Boost sales productivity, accelerating the quote to cash process. Dynamics 365 Business Central lets you act quickly on sales-related inquiries. At the same time, you can easily manage service requests and process payments. Due to the Outlook integration, it is possible to do everything right from the tool. Delivering exceptional services is possible with a comprehensive overview of service tasks, workloads, and employee skills. With all this information not only in mind but in a single interface, you can assign resources and accelerate case resolution more effectively. If you want to leverage the Magento 2 Business Central integration in the field of customer services, use the Improved Import & Export module. It’s always complicated to stay on budget if you don’t have proper planning, but Dynamics 365 Business Central offers all the necessary mechanisms. Thus, you can create, manage, and track customer projects one timesheets controlling job costing and leveraging highly accurate reporting capabilities. The platform provides you with the tools designed to develop, modify, and control even the most complex budgets so that you can always ensure project profitability. Accurate planning is based on capacity and sales, invoice tracking, and multiple other aspects. The tool analyzes your current expenditures, compares them against planned costs, and informs you when something goes wrong. 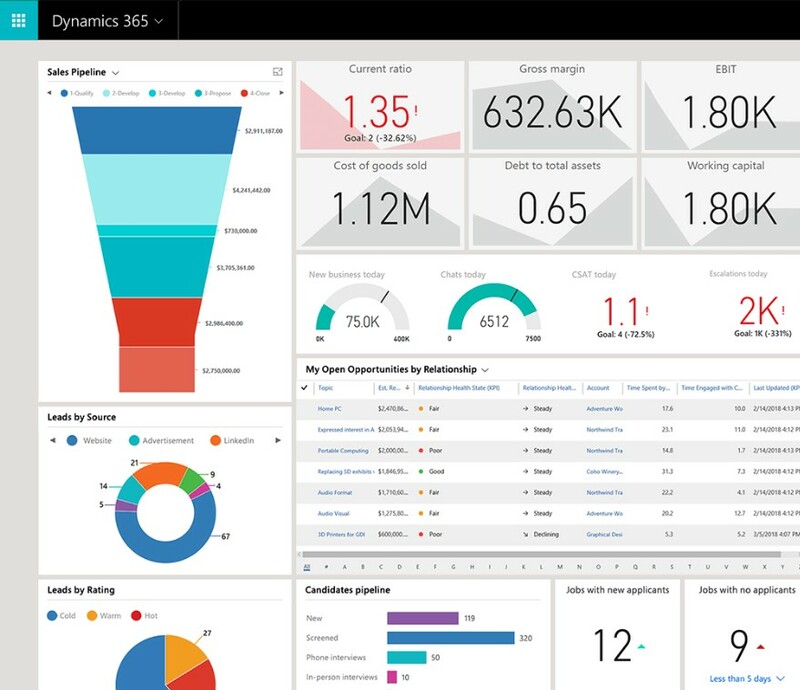 To analyze project performance correctly, Dynamics 365 Business Central offers real-time insight on project status, profitability, and resource-usage metrics. Thus, you can make more effective decisions. The budget-planning functionality of Dynamics 365 Business Central can be easily integrated into Magento 2 with the Improved Import & Export plugin. We’ve already mentioned forecasting opportunities of Dynamics 365 Business Central, but it is necessary to say a few more words about them. The platform enables sales forecasts and expected stock-outs so that you can get production plans generated automatically. Creating purchase orders is also a piece of cake if you rely on the platform. To run your warehousing more efficiently, Business Central enables you to explore inventory in a more precise manner so that you achieve more efficient order fulfillment. Every item transaction and movement are under control. You can set up bins on the basis of warehouse layout and storage unit dimensions to make all related operations the most accurate. Besides, the optimal output levels can be reached since you optimize manufacturing capacity and calculate resources. As a result, Dynamics 365 Business Central enables you to enhance production schedules so that ever growing customer demands are always met. Optimize operations with the Magento 2 Business Central integration using Improved Import & Export. Nobody wants to store data insecurely. Both merchants and their customers deserve respect regarding their privacy and Dynamics 365 Business Central can afford that. It offers built-in privacy-by-design and privacy-by-default methodologies which are fully compatible with GDPR. The system lets you grant and restrict access to data on multiple levels so that you can enable different roles for different employees. At the same time, it allows handling, storing, and transmitting data securely. To ensure even higher security and accountability level, the platform enables audit trails so that you can move and save personal data across the entire systems protected from unauthorized access. Dynamics 365 Business Central lets you manage your business anytime, anywhere. All tools are available in the cloud, on-premise, or as a hybrid deployment. No matter what model you choose, the user experience is always the same. You can even take your business on the go with the mobile version of Business Central. It works equally well with all the provided models. As for supported devices, you can download an app for Windows, Android, or IOS. 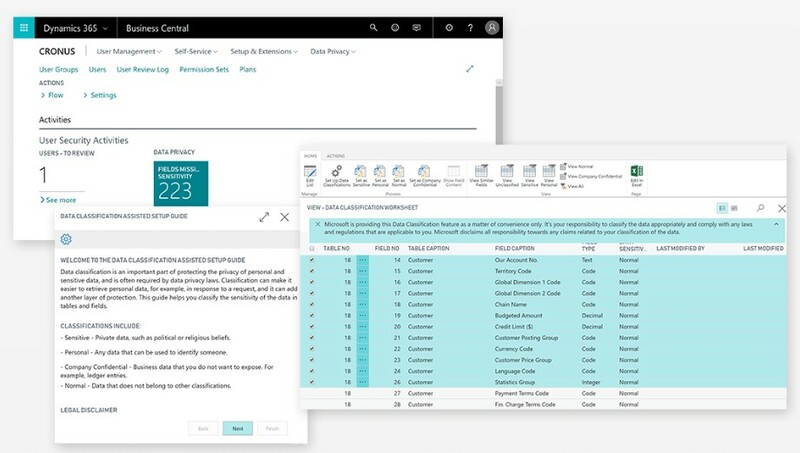 For further information about the Dynamics 365 Business Central features, follow this link: Dynamics 365 Business Central Capabilities. Although the initial statement about Dynamics 365 Business Central informs us that it is easy to enable and use, there is one important nuance: the set of tools can be implemented through global network partners only. Thus, you cannot integrate your Magento 2 website to Dynamics 365 Business Central directly. It is necessary to connect with a partner to evaluate the solution capabilities and pricing. As for the minimum price, it starts from $70 per user/month for Dynamics 365 Business Central Essentials. The basic Premium plan costs $30 more. And don’t forget that you have also spent $8 for every team member per month. Below, we will post links to articles that explore various Dynamics 365 Business Central features and functionalities. New material will be published soon!